Championing a bill that protects consumers and ensures small businesses can compete in a world driven by technology made perfect sense to Norma Smith. The Republican state representative from Whidbey Island doesn’t view net-neutrality laws as a partisan issue. Whether you’re a Republican or a Democrat, “this is an issue that needs to matter to everyone,” Smith said. Smith and Rep. Drew Hansen, D-Bainbridge Island, both have sponsored bills that would ensure net neutrality in Washington state. Net neutrality is a set of regulations that requires internet service providers (ISPs) to treat all websites equally, preventing them from creating fast lanes for those that can afford to pay for them. The bills were easily voted out of committee and now mirror each other. The Appropriations Committee planned a weekend hearing on the bills and one of the two identical bills will likely move into the House for a vote. Hansen and Smith felt something needed to be done on the state level when the Federal Communications Commission (FCC) overturned net-neutrality regulations last year and so they began, separately, working on legislation. Once they realized they were both working on the same issue, they joined forces. Like the Obama-era rules, Hansen’s and Smith’s bills would prohibit service providers from throttling broadband speeds or slowing down websites or content they deem shouldn’t reach consumers at the same clip as other sites, applications, services or content. The bill also calls for the companies to “disclose information about network management practices, performance, and commercial terms.” Sen. Reuven Carlyle, D-Seattle, has a bill dealing with disclosure and service providers, and Sen. Kevin Ranker, D-Orcas Island, has a bill similar to the work being done in the House by Hansen and Smith. The Hansen/Smith bills are a simple four pages. Smith said one of the things she and the broadband and wireless industries found objectionable about the FCC’s approach to net neutrality were the hundreds of pages drawn up for the regulations. She wanted to craft something simple that had a chance of being supported by the broadband and wireless industries. The two House members took input from industry groups representing ISPs and have made some changes. Support for personal freedoms and for small businesses has long been at the core of conservative thought, and originally, some conservatives backed rules granting unfettered access to the internet. When the term “net neutrality” first surfaced more than a decade and a half ago, consumer-interest groups, free-speech advocates, technology companies and the National Rifle Association all rallied around it. Since then, big internet service providers like AT&T and Comcast have lobbied Congress hard against net-neutrality rules and the debate has hardened along partisan lines, with Democrats supporting it and Republicans opposed. This dynamic played out over the George W. Bush and Barack Obama administrations. Bush’s FCC chairmen opposed net neutrality, but Obama’s second chairman changed directions in 2015 when the commission voted to reclassify broadband as a utility, giving it the ability to create and enforce net neutrality regulations. 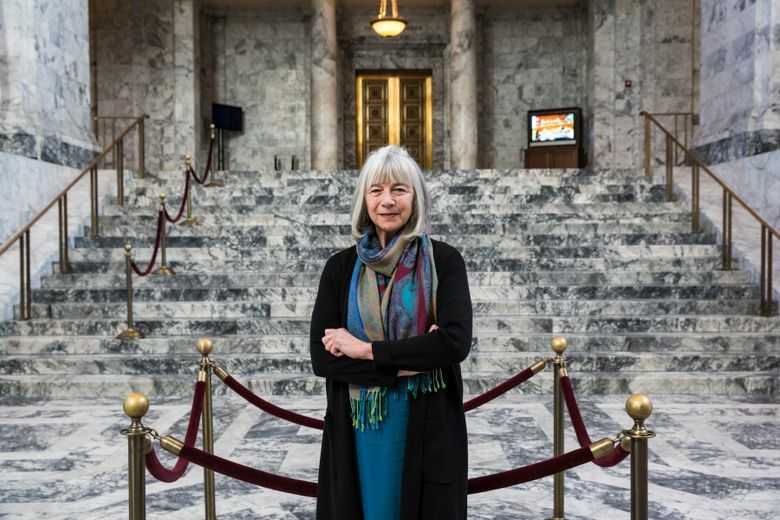 Washington state isn’t alone trying to create net neutrality rules. Michael Schutzler, CEO of the Washington Technology Industry Association, said in an email that 17 other states are considering legislation around the issue and could force the federal government to act. “States can impose rules that require ISPs to not tier access for consumers or companies. They have the jurisdiction to declare what’s fair and what’s not in a state. Tiered access to the internet is the core topic of net neutrality. If enough states pass net neutrality laws then the US Congress might finally pass rules to standardize nationally,” Schutzler wrote. Smith agrees that the states can force Congress to act. Broadband and wireless companies have told her that regulations aren’t necessary, because they wouldn’t run their businesses in a way to hurt customers. She takes them at their word. But she is worried about what happens decades from now. “You said you support this. Let’s hold you accountable for that,” Smith said. Hansen said he has heard from constituents and people outside his district that want these regulations. A Marine Corps veteran who is starting a small businesses told him it would be impossible for his company to succeed in a tiered system. A teacher expressed her worry to Hansen that accessing instructional materials quickly without having to pay for speed is important to the job of educating children. The only dissent he has heard is from the internet service providers. “People get this. People get how important it is to have a free and open internet,” Hansen said.